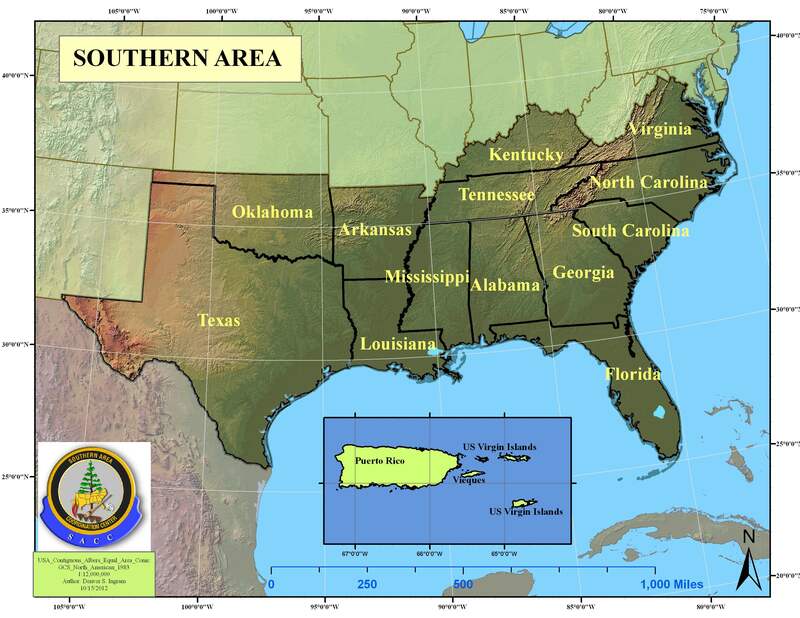 SA Ops Briefing "Live Meeting"
Southern Area Open 209 Incidents by Agency. 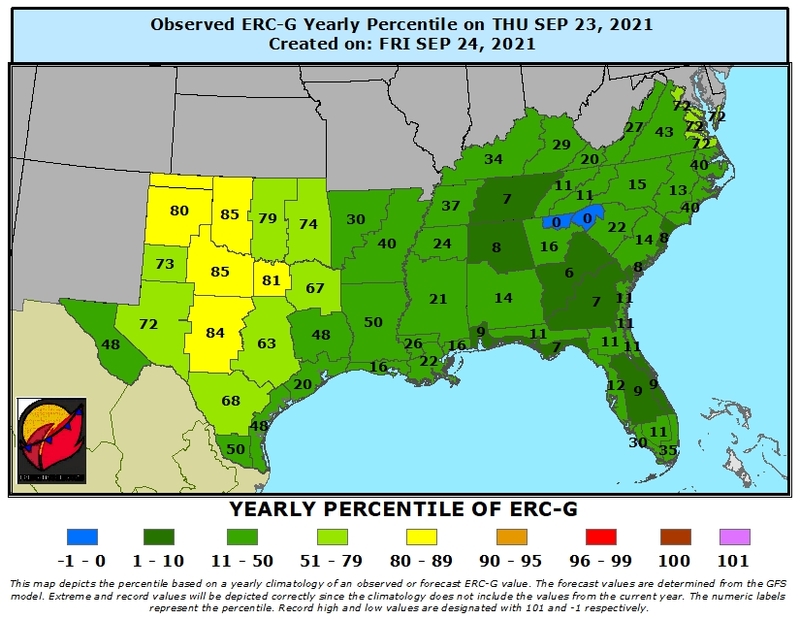 This is a color coded map showing the percentile of ERC (G fuel model) based on yesterday's "1300" RAWS observations available in WIMS. 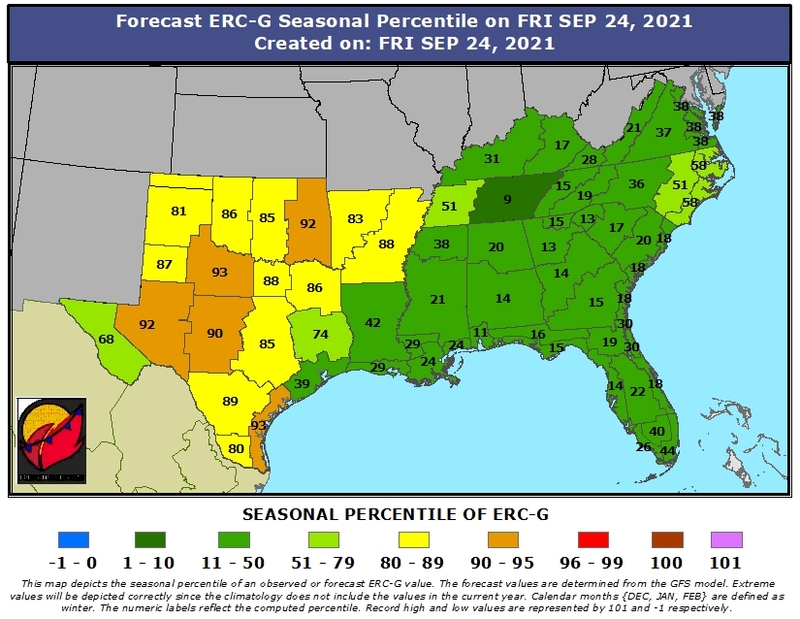 The percentile is calculated for each Predictive Service Area and is based on an 12 month (annual Jan through Dec) set of historical statistics. 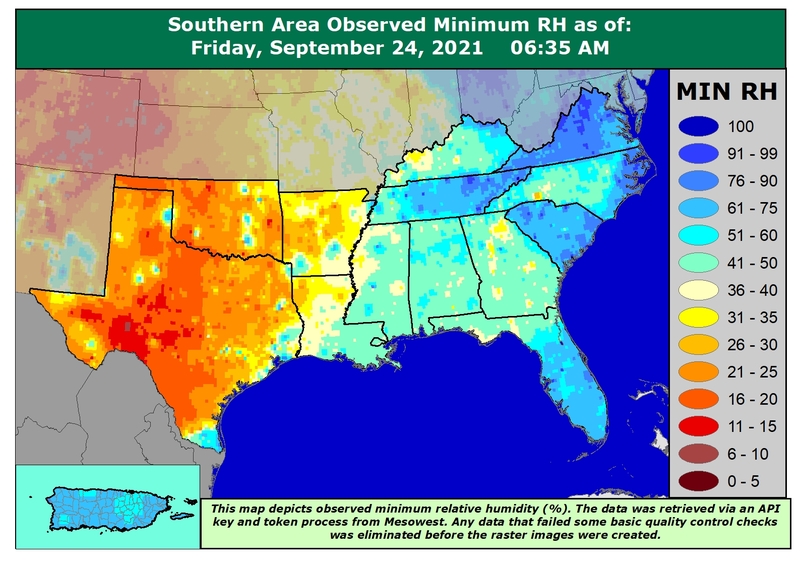 The RH map shown depicts yesterday's observed minimum relative humidity and colorizes the values based on the magnitude of the humidity value (cool colors would be generally higher, "moist" values and the warm colors depict drier and more significant fine fuel fire risk elevating conditions. 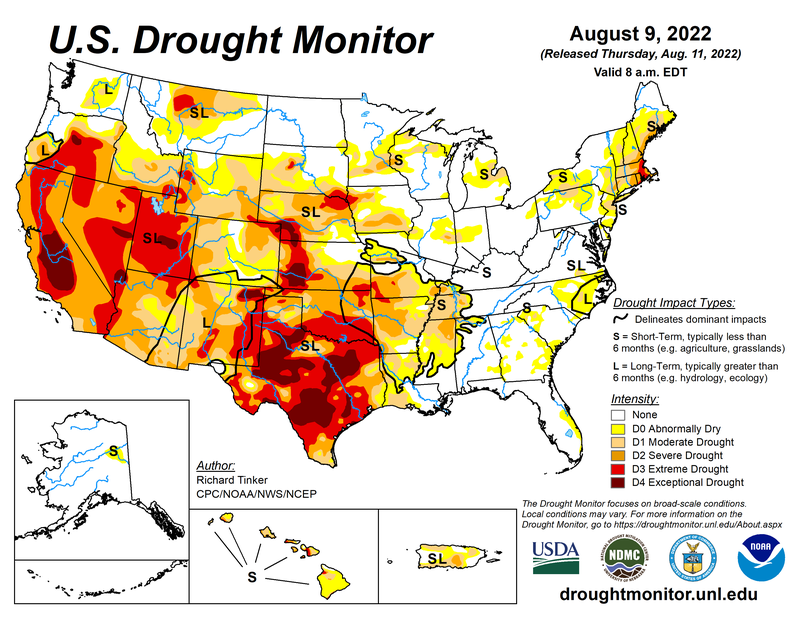 The drought monitor map at right shows areas of drought intensity and classifies the drought as either, short term (agricultural), and/or hydrological (long term) drought. 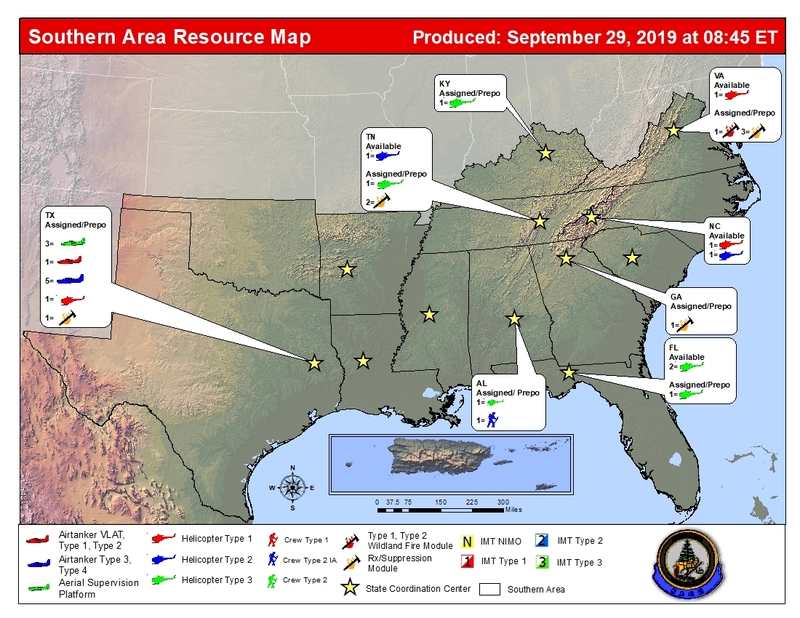 The Red Flag map at right shows where Red Flag and Fire Watch alerts have been issued by the National Weather Service. 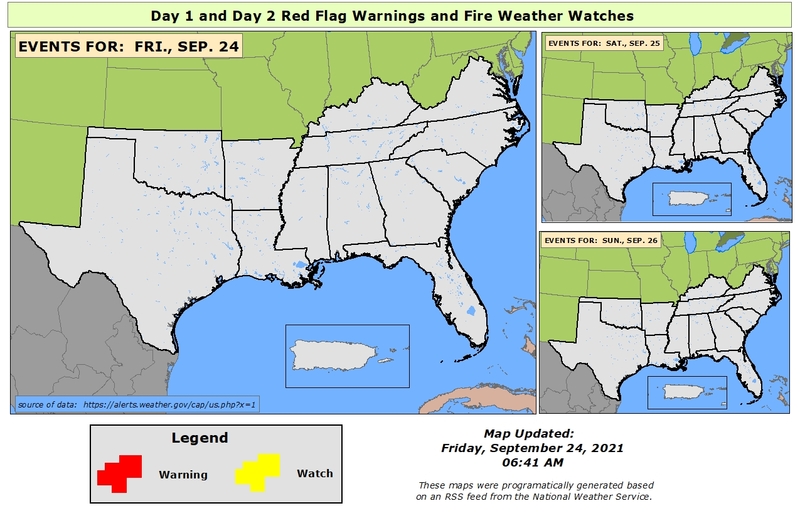 The map displays watches and warnings up to three days in the forecast period and are depicted by unique symbol.